There are so many wonderful tributes pouring in about Mary Ellen Mark - I wanted to share this one from CNN. I feel so fortunate to have been part of the team with her in New Orleans recently. 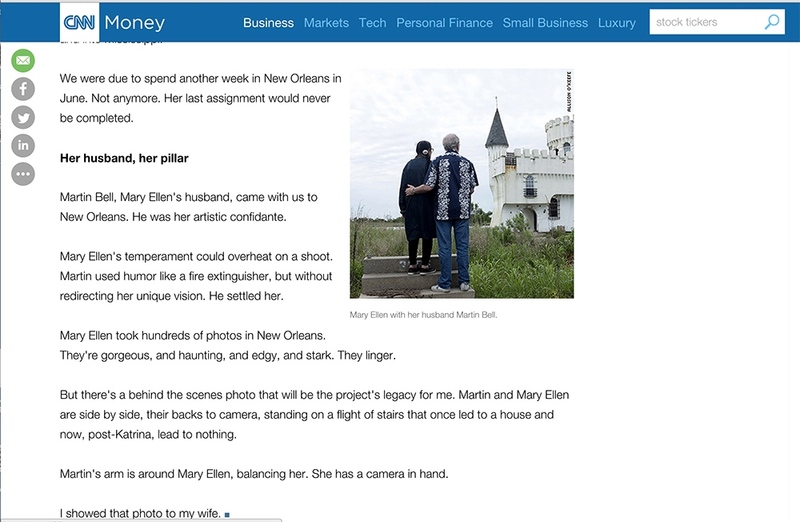 This video as well as the article features a number of photographs I took of Mary Ellen while we were all in New Orleans last month. A special thanks to Simon Barnett for making the CNN project happen. We are all thinking of Martin Bell at this time - and all those who knew her so well personally and through her extraordinary work.